For those highlights in your life that deserve a special fête, we have the perfect list of ideas for destinations and experiences that will mark the occasion in style. From Mother's Day to weekend escapes to celebrating milestone birthdays and anniversaries, travel adds an element of joy while creating even more memories—the greatest gift of any celebration. As clients of Away by TTI Travel, mark the important occasions in your life as a VIP. Significant anniversary? Arrive back at your hotel to find roses sprinkled around the room. Toasting a graduation? Pop open the complimentary champagne. For every event, we can provide the added touches to make your experience extraordinary. Take this wonderful woman out for a special family brunch at Bosk, the hotel's award-winning restaurant. Or, sit down to High Tea for two in the Lobby Lounge and enjoy the live piano music. Exchange vows in the shade of palm trees and jasmine, overlooking the impossibly turquoise waters of the Caribbean. Experience the best of the Virgin Islands, knowing your big day has been arranged with the Ritz-Carlton's famous attention to detail. Begin your new life together on a note of magic and adventure with a luxury cruise up the Ayeyarwaddy River. Discover the gentle culture of Myanmar on a trip that perfectly balances bespoke experiences with intimate couple time. What better place to celebrate all you have accomplished together than on the private, pedestrian-only island of Jumby Bay? Share a romantic poolside afternoon at your villa, or stroll along Rosewood's pristine beaches. 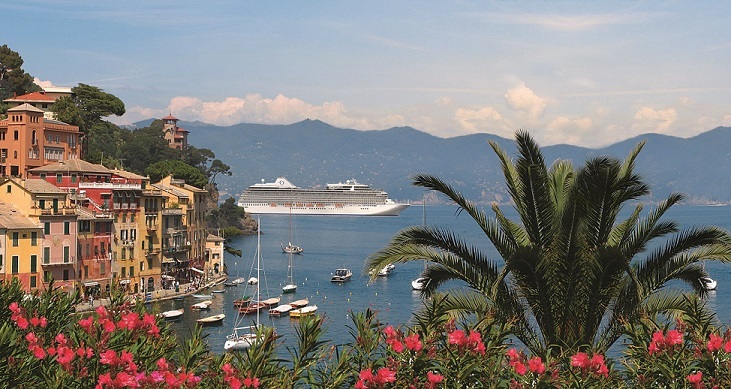 On an Oceania Mediterranean cruise, discover the warmth of Portofino. This colourful corner of Italy is known for its charming harbour, lush Mediterranean gardens, and authentic Italian cuisine. Gather your nearest and dearest to raise a glass to the beauty of life. Every member of your family will fall for the Galapagos Islands. Kids of all ages will delight in the exotic wildlife and the excitement of an expedition cruise. Parents will love the expert talks given by onboard naturalists, as well as the shore and sea excursions. Snorkelling, anyone? Before she leaves for university, savour some bonding time in the City of Lights. Take in the elegance, culture, couture, and pure Parisian pampering while you marvel at all the places she'll go! Indulge in food, wine, and family time where the mountains meet the sea on Italy's Amalfi Coast. Use Palazzo Avino as your stunning home base as you explore the region's incredible natural beauty. Treat yourselves to the most glamorous escape on Mexico's Yucatan Peninsula. Between the Leading Spa, the exquisite gastronomic restaurants, the white sand beach, and the private plunge pools, this is a trip you'll be raving about for years to follow. It's no coincidence that Europe's capital of old-world glamour is also the capital of sports cars. The Monaco Grand Prix F1 Championship is held annually in May throughout the streets of the city. Board one of SeaDream Yacht Club's French Riviera cruises for the best seats in the house, and to enjoy a Ferrari racing class with your friends. Celebrating the Chinese New Year in Beijing is the experience of a lifetime. Watch performances at a local temple fair, then feast on Canontese delicacies at the Four Season's Cai Yi Xuan Restaurant. When the moon rises, head to the Drum and Bell Towers for the best fireworks view in the city. Speak to your Away Travel Advisor, or contact us via email below to arrange a celebration you'll never forget.